1. 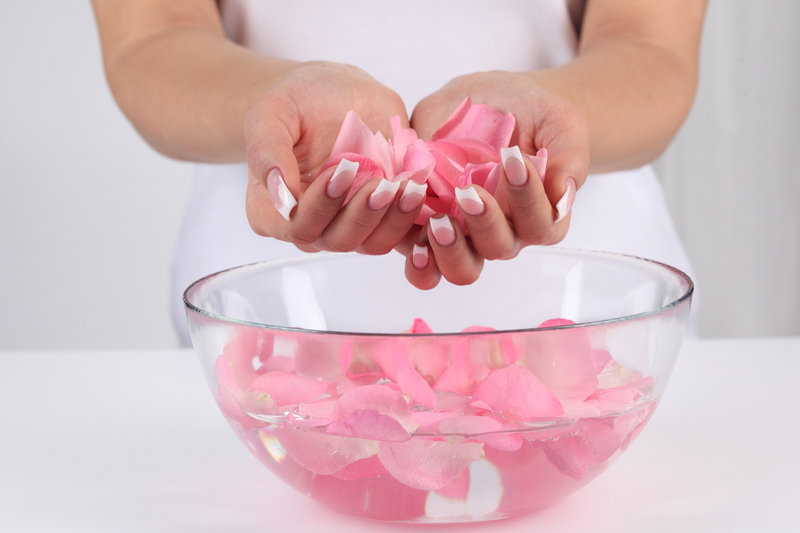 Enjoy Morning Freshness: Awake your facial skin every morning by splattering rose water to it. It will refresh you instantly, liven up your dull skin and prepare your face for coping with the turmoil of the rest of the day. 2. Clean It Up: Rose water is an excellent natural face cleanser. Dab a small cotton ball in it and wipe your face twice a day for removing the traces of dust, dirt and pollution completely. 3. Use as a Toner: Add a bit camphor or a little mint powder to rose water and use the mixture as a face toner. Such mixtures are capable of delaying making pores tight, drying up pimples, fading acne marks away, and toning up the entire skin perfectly. 4. Stay Moisturized: In order to keep your skin moisturized all through the day, pour a few drops of glycerin into the rose water. The concoction works as a wonderful moisturizer and helps us keep our skin cells hydrated for long. 5. Stay Away from Aging: You can easily delay aging by applying a smooth paste of sandalwood powder-rose water to your face regularly. It combats wrinkles, fine lines, age spots, etc. and helps you look young even in your 50s. 6. 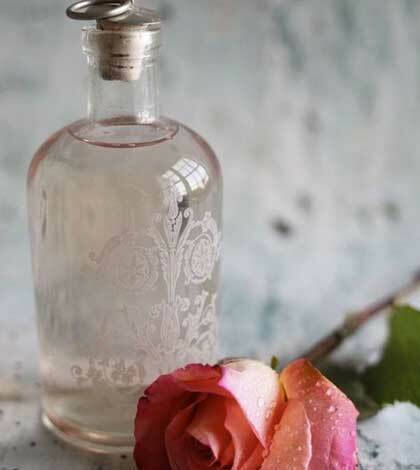 Get Fair and Rosy Complexion: When it comes to enhancing the complexion, nothing can be better than rose water. Apply it daily on your face to get a smooth and rosy skin tone. For best result, mix olive oil or almond oil with it. 7. Get Rid of Sunburn: Prepare a natural sunburn solution by mixing tomato juice and rose water or you can also replace the tomato juice with some basil leave powder. Apply it to the affected skin areas as frequently as possible to get rid of burn or tan fast. 8. Treat Skin Infections: The cooling and soothing effects of rose water can reduce the irritation caused by various skin infections and help in their cure at the same time. Adding this ingredient to your regular face pack or mask will also help you get a clean, clear and flawless skin. 9. Get Soft Pink Lips: To get soft and rosy pink pout, apply a pack of rose water and beet root juice to your lips regularly. Simply dabbing some rose water on them every day will also offer great result. 10. Use in Your Hair Pack: Prepare a homemade hair oil by combining jojoba oil, rose water and vitamin E and use it on a regular basis to take the utmost care of your hair. It works as a natural conditioner and gives you soft as well as hydrated tresses. You can also fight against dandruff and stimulate your hair growth significantly with the help of this exclusive hair pack. So, are you ready to bloom like a rose with rose water?